Viola didn't mean to summon Jinn, but she had a strong wish and there he was. 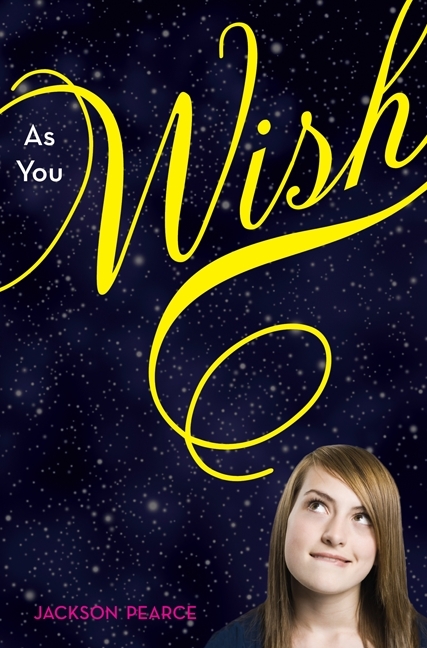 Jinn just wants her to make her wishes so he can go home, but Viola doesn't want to wish. Usually his masters know exactly what they want and he can be on his way in no time. Hours pass and then days and the relationship between genie and master changes. Jinn is no longer sure what he wants and Viola has already used up some of her wishes. Once she wishes the last wish he'll be gone, from Earth and her memory. This was a fun and interesting story. I haven't read too many genie books, so it was a nice change of pace and a fresh idea to me. Viola was an interesting character. She held out so long on making wishes, because she didn't want to just wish for something artificial. I loved watching her and Jinn grow throughout the book. Not even that their relationship grew beyond genie and master, but that they each grew as individuals too. Jinn was an excellent character, he got moody, but he was still great. Lawrence was an excellent character. I would love him as a friend. He was really down to Earth and caring. He also seemed like he knew how to have fun without having to go to parties all the time. Really, all the characters in this novel just were real and genuine and mostly I wanted to be friends with them (except Aaron Moor). The genie aspect of this introduced nicely woven in folklore about the whole genie myth. I like the Jackson Pearce dove deep with this aspect of the novel. It was a well-developed story and place. I don't think the book would have been as good without that awesome background and world development with Jinn. "All I've learned today in Shakespeare class is: Sometimes you have to fall in love with the wrong person just so you can find the right person." "I have to get to her, I have to help her...I roar into the night, staring angrily at my feet."